Actemra (tocilizumab) lawsuits claim that Genentech, a subsidiary of Roche, failed to warn rheumatoid arthritis (RA) patients about Actemra’s side effects, including heart attacks, heart failure and even death. According to Actemra attorneys, Genentech negligently advertised its arthritis drug to patients by claiming it was safer than the competitor medications. Tocilizumab side effects also include lung complications and pancreatitis, which has a 50 percent risk of death. None of these side effects appear on the Actemra warning label. Send your Actemra claim to a lawyer who will review your claim at NO COST or obligation. When Actemra was approved by the FDA in 2010 to treat rheumatoid arthritis, Roche advertised the drug as a “unique” breakthrough because it wasn’t associated with life-threatening side effects that most other RA medications are known for. However, according to a STAT investigation (Jun 2017), the FDA has received reports on 1,128 people who died after using tocilizumab and the agency has reviewed the drug’s safety several times since 2010, but it doesn’t have tools to determine whether the drug was the culprit or a bystander in those deaths. One FDA review found 118 deaths, including 42 deaths from heart attack or cardiac arrest as of August 2012. Another review found 258 reports of pancreatitis and 185 reports of interstitial lung disease among Actemra patients in clinical trials. Still, the FDA didn’t issue any warning and Roche said there wasn’t enough evidence to justify adding side effects to the label. STAT investigators found that between 2010 and 2016, the FDA received thousands of complaints about adverse reactions to Actemra, including 1,100 patient deaths. The cause of death listed in the majority of these FDA reports were heart disease, lung disease, and stroke. The STAT report notes that, although the FDA’s job is to monitor the safety of prescription drugs, it doesn’t verify the adverse-event reports that it receives. Experts accuse the FDA of failing to warn the public of a drug’s safety (not just Actemra) after its approval, which highlights its inability to adequately scrutinize medications and not acting promptly when adverse events are reported. After analyzing over 500,000 side-effect reports on rheumatoid arthritis drugs, STAT found “clear evidence” that the risks of heart attacks, strokes, heart failure, and other conditions were as high or higher for Actemra patients than for patients taking some competing RA drugs. Actemra competitors, such as Humira, Remicade and Enbrel, all carry warnings about the risk of heart failure, heart attacks, and strokes — Actemra does not carry such warnings. The Arthritis Foundation says that over 1.5 million Americans (or one percent of the population), seek treatment for RA, and more than 760,000 people in the U.S. have been prescribed Actemra. Tocilizumab is also prescribed to treat Juvenile Idiopathic Arthritis, the most common type of arthritis in children under the age of 17. RA is a debilitating autoimmune disease that causes inflammation in the joints of the hands, feet, knees, elbows, and ankles. If left untreated, such inflammation can damage cartilage and bones and cause joint deformity. This damage is irreversible. By way of the Freedom of Information Act, STAT gave examples of two patients who were prescribed Actemra. A doctor reported that a man suffered a fatal brain bleed, two days after receiving intravenous tocilizumab and no other factor than the drug could have explained his death. 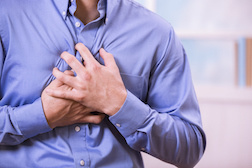 Secondly, after a 62-year-old German woman suffered a heart attack in 2014, Roche “ assessed fatal myocardial infarction as related to [tocilizumab]”. Assessing whether arthritis drugs cause cardiovascular problems is difficult because RA itself is a risk factor for heart disease. The STAT article suggests that longer-term and larger post-marketing safety studies can help. One year before the FDA approved Actemra for the US market, the Wall Street Journal reported that the RA drug had been linked to the deaths of 15 people in Japan. The report came from a study of 5,000 Actemra users and a spokesperson for Chugai Pharmaceutical-- partially owned by Roche--said that, due to this study, the company couldn’t deny that there may be “a causal relationship” between the deaths and Actemra. The death rate reported in this 2009 study was similar to that reported about Enbrel, according to a pharmaceutical analyst for Morgan Stanley. Attorneys are currently investigating complaints about Actemra side effects. As more people become aware of the link between Actemra and serious complications such as heart attacks, individual lawsuits will be filed claiming failure to warn and negligence. Although a Multi-District Litigation has not yet been centralized, lawyers expect that judges from the Judicial Panel on Multidistrict Litigations (JPML) may consolidate some litigations in one court to speed up proceedings. If you, or someone you know, wishes to file a claim against Genentech, it might be in your best interest to file sooner than later as every personal claim is governed by the Statute of Limitations. Genentech, a subsidiary of Roche, markets tocilizumab in the U.S. In 2016 the drug brought in global sales of $1.7 billion, making it Roche’s fifth highest-grossing drug.